Maybe next year I will count skiing in my climbing goal! It's a lot easier going up a mountain by chair lift than by bicycle. Maybe next year I will count skiing in my climbing goal (that would be cheating)! But it sure is a lot easier going up a mountain by chair lift, than by bicycle. 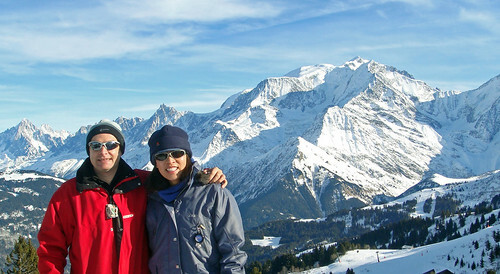 Christmas day is a great time to ski, and we had perfect weather in the mountains, avoiding another gray dreary day down low in Geneva. 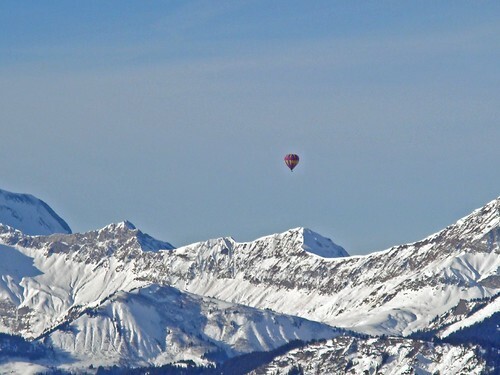 Megeve ski resort is less than an hour from home and right next to beautiful Mont Blanc. 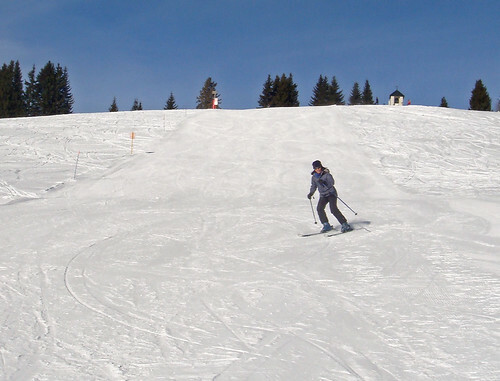 World famous Chamonix is nearby, but its a lot more difficult skiing and harder to get around. 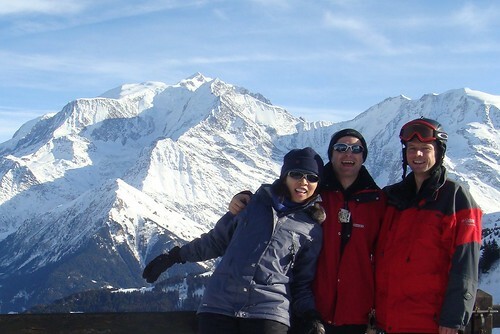 At Megeve, the skiing is perfect for less than expert skiers like us. Martin joined us and as we sometimes do, we spent most of the day congratulating ourselves for getting out on such a perfect day. PS – Please note Doreen’s clearly expert style in the first photo below.